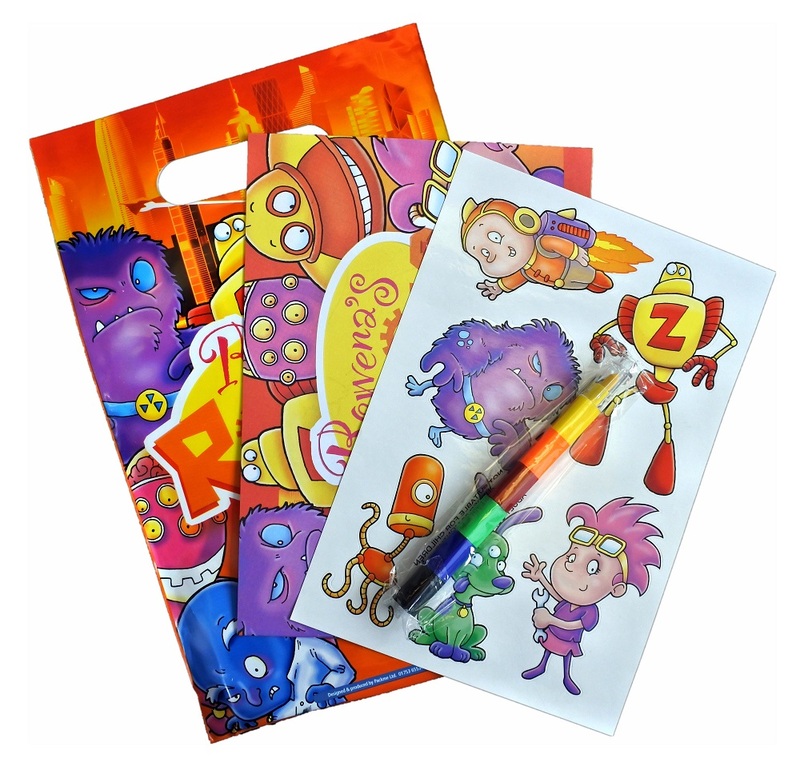 Each bag contains an easy grip multi-crayon, themed activity book & stickers for centre spread scene – packaged in a high quality printed, recyclable polythene bag. 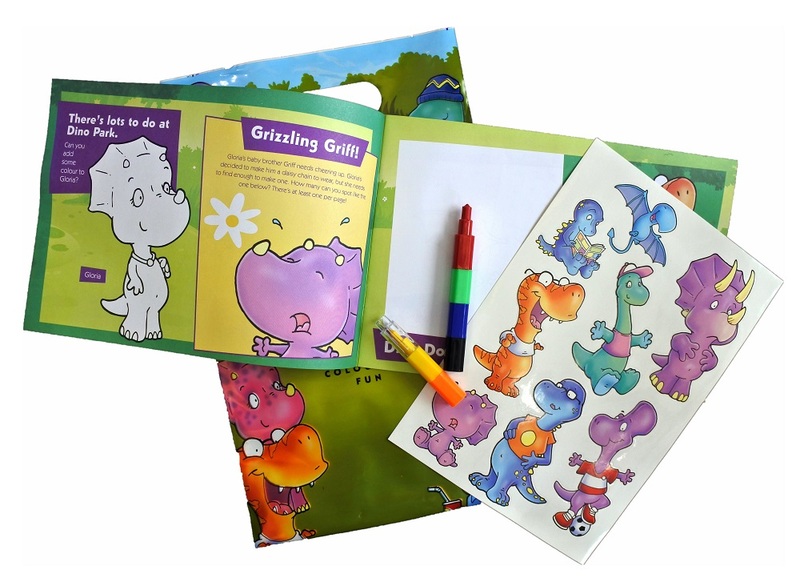 These fun and educational packs are suitable for children 4 years old and up. 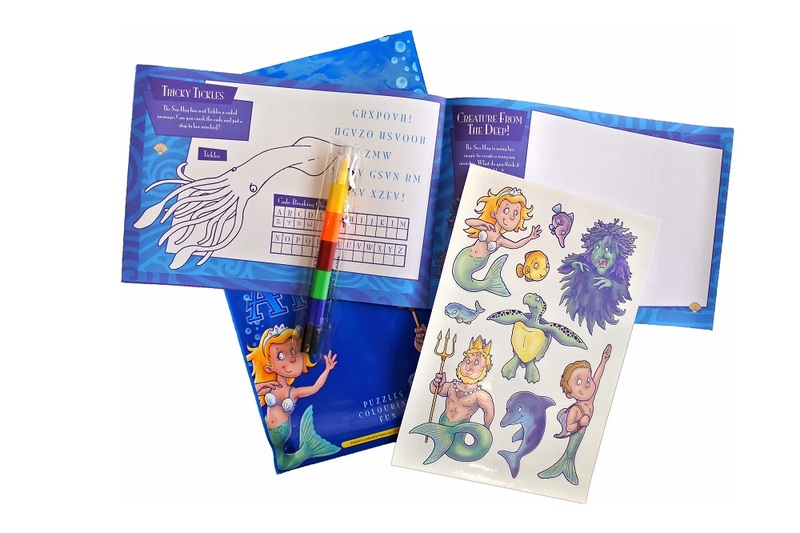 Kid’s Activity Bags are supplied as a box of 100 units, mixed between the three designs (Rowena's Robots, Merfolk of Atlantis & Dino Park), along with counter display trays for ease of dispensing. 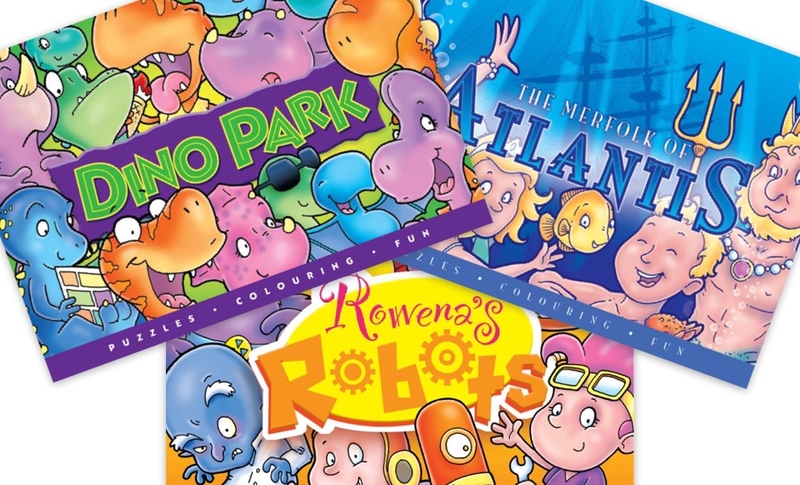 Other off-the-shelf designs are available to buy online - or buy all our designs with the Multi bundle option.